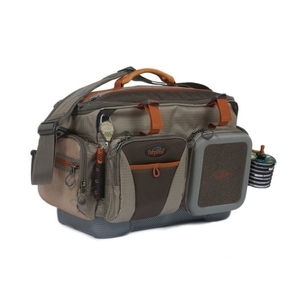 Fishpond Green River Gear Bag. Your gear deserves a place to call home. The Green River Gear Bag has refined features that covers all of your needs. A waterproof molded bottom, a zip down fly bench, and a deep main compartment that is customizable to meet your needs make this bag functional. Constructed with durable and lightweight 420d recycled Cyclepond nylon.